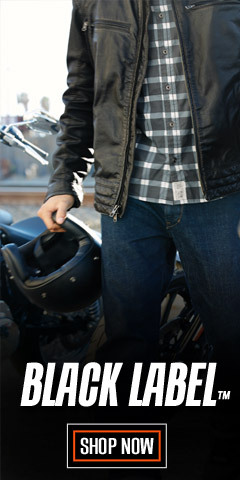 Fashion forward vibes with modern styling make Harley-Davidson® women’s clothing the gold standard to reach for. 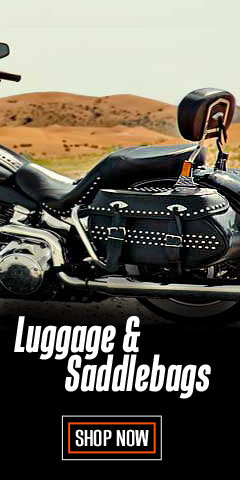 For a day trip on the motorcycle, at work, or for a night on the town, Harley Davidson® offers stylish clothing and accessories that make you feel your best - anywhere, anytime. 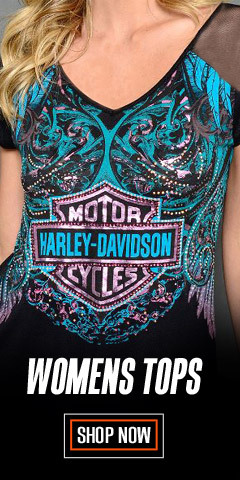 The adjectives sophisticated, sweet, soft, and feminine are synonymous with Harley® women. 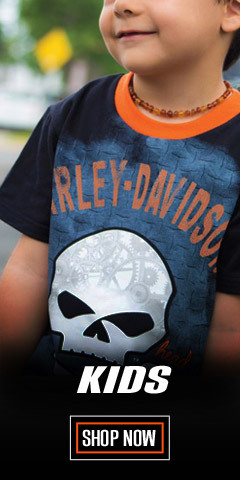 The same goes for Harley-Davidson® women’s fashion clothing. We have everything you need for any calendar event, from a day on the bike to a night on the town. There is a lot here, so take your time. Remember, fashion can't be rushed, and sometimes requires a mind open to new things. Biking fashion is always moving forward. 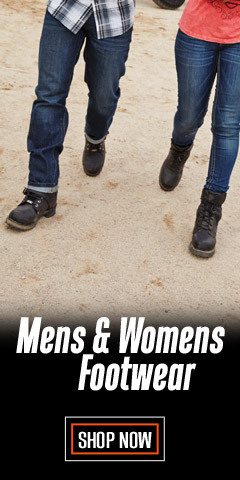 On or off the bike, for a routine day or an evening out at a linen napkin type restaurant, or for just running errands, you can choose from a vast selection of fashionable tops, jeans, leather jackets, helmets and gloves, and footwear – riding and fashion boots, casual shoes, athletic shoes & socks, and slippers. For the Monday-Friday work week, we have vibrantly colored and versatile tops and tees; soft and luxurious handbags and purses; delicate, sparkling jewelry; top designer Harley® sunglasses; and, Bulova® H-D® watches. We’ve got nightwear, clothes for good weather, clothes for bad weather, in the sunshine or moon light – the selection is here for you. When the weekend rolls around and it’s time to amp-up the fun. 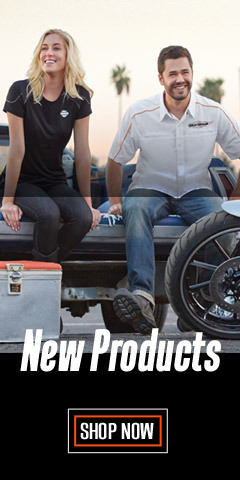 If your tastes include bright and light, soft and feminine, sophisticated and relaxed, you are among friends at WisconsinHarley.com. Click on the menu selections above or below to start having fun! Feel free to give us a call if we can help. 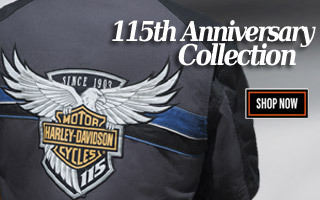 Our friendly WisconsinHarley.com staff is here for you!